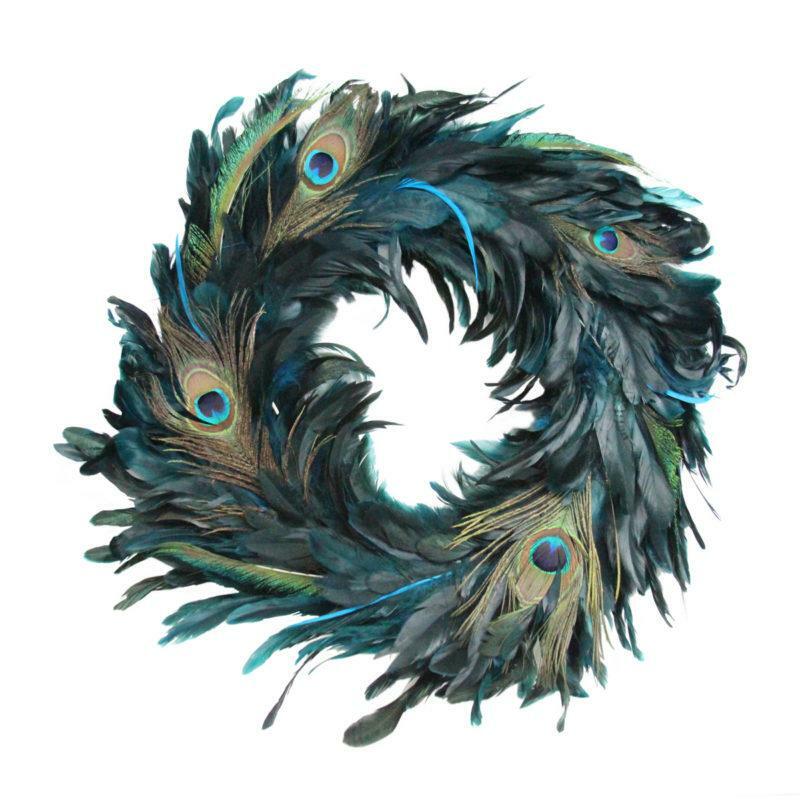 A fabulous 38cm Blue Peacock Feather Christmas Wreath. Part of the popular Peacock range of Christmas decorations. This beautiful feather wreath will make a real statement in any Christmas display.